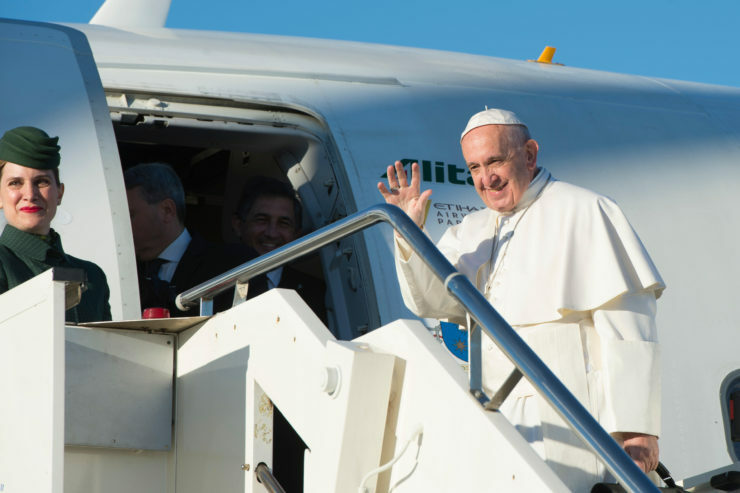 The Vatican on June 6, 2018, released the schedule for the Holy Father’s visit to Bari on July 7, 2018. When the trip was announced in late April, a Vatican spokesman stressed that it will be a day of prayer and reflection for the situation in the Middle East and that local Church Leaders are to be invited. The Holy Father and the Patriarchs descend into the crypt of the Basilica for the veneration of the relics of Saint Nicholas – lighting of the single-flamed lamp. The Holy Father and the Patriarchs leave the Basilica of Saint Nicholas, and travel by coach to the “Rotonda” on the Bari seafront promenade. Bari seafront promenade: Prayer meeting. At the end of the joint prayer meeting, the Holy Father and the Patriarchs return to the Basilica of Saint Nicholas by coach. Basilica of Saint Nicholas: Dialogue (behind closed doors).